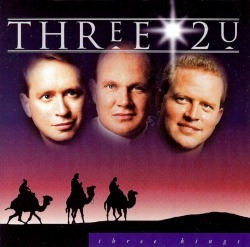 This is the album that started it all--a lifelong musical journey and friendship for three men. It is a timeless album that all can enjoy. "Three Kings" will touch your heart and bring joy to the listener through harmony... harmony of song, harmony of mind, harmony of spirit. All songs are fresh and vibrant, not overplayed. Three2U has taken something familiar and made it sound as though it were new...something new and made it sound familiar. The album is comprised of a collection of Christmas Songs that can be listened to all year long. It is a collection of holiday music that also makes a fabulous gift for friends and family.